Summary: During the Legend War (?????? ?, Rejendo Taisen? ), the Goseigers and Gosei Knight are overwhelmed by the Zangyack's first invasion force until they are saved by the Gorengers' Akarenger and J.A.K.Q. 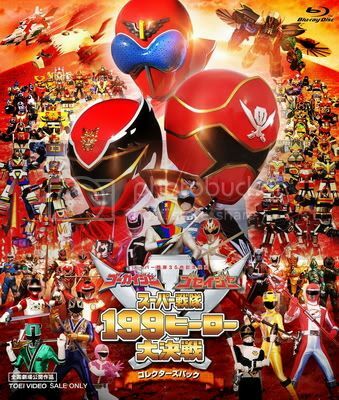 's Big One and are told that all the Sentai teams are gathering. With the Sentai supporting warriors giving them safe passage, the Goseigers meet up with the other 33 Super Sentai and the teams proceed to battle the numerous Gormin and Zugormin. The battle reaches its end when Akarenger tells everyone to join their powers together so their combined powers can wipe out the armada. Having survived, the Gosei Angels learn that they and other Super Sentai have lost their powers, which have dispersed all over the universe. Alata believes they can still protect the planet without their powers as the teams go their separate ways.